I believe that every Child Care Business owner shares one common goal: We want a Child Care Business That is filled to Capacity! When your Child Care Business is struggling to build enrollment, this leads to financial hardship. In fact, when your enrollment is low, it has a major impact on your Budget. Furthermore, if your Child Care Business is filled to capacity, you are able to pay your bills, pay your staff and do the things that you dream of doing for your Child Care Business. Today I want to share with you 3 easy ways to Build Enrollment in your Child Care Business. Word of Mouth. If your families love your program, they will be more than happy to tell their family and friends about your Child Care Business. I have not spent any money on marketing my Center since 2015, because the parents in my Child Care Program, consistently spread the word about my Center and I am so grateful for that. So, if you have openings in your child care business, the next time that you talk to your parents, invite the parents to tell their family and friends about your program. Location, Location, Location. I can not express this enough; location is everything when it comes to building enrollment. Is your child care business easily seen? Is it easily accessible? Are you easy to find? If you answered no to any of the previous questions, your location could be impacting your enrollment. In fact, I have discovered that when a Child Care Business is not in the Best location, you will spend more money marketing the Business to get more families to come to you! Moreover, if you are in the market to start a Child Care Business or Expand, be sure to do your demographics on the location. 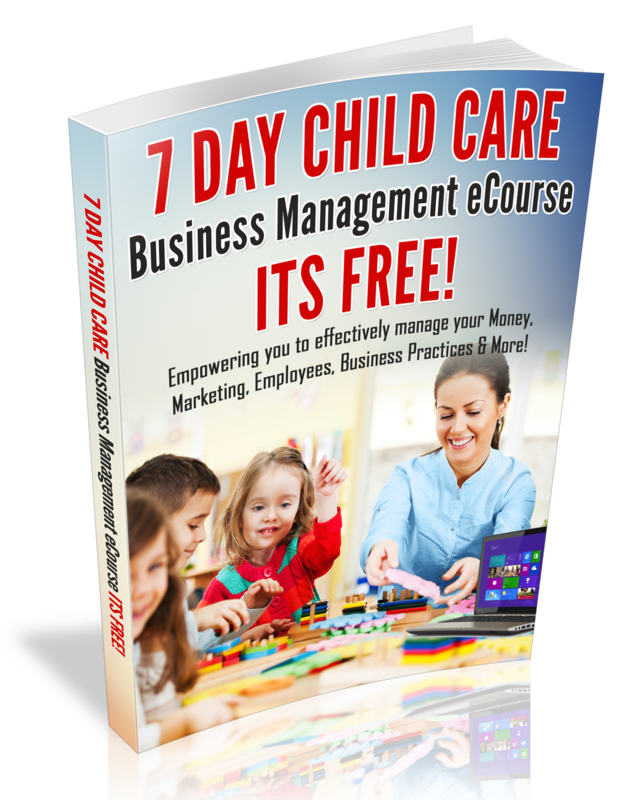 Market Your Child Care Business Online. Google is the new phone book and it is vital that when parents google the word childcare, your child care business comes up in their google search. So be sure that your Child Care Business has on online presence on Facebook, Instagram and a Website that has up to date information about your Child Care Business. For more tips on how to effectively market your Child Care Business online and off-line, check out my Marketing 101 toolkit or Schedule a 1-hour Marketing Coaching Session with me today! Download Your Sample Lesson Plans Today!